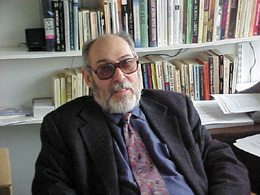 Noel Ignatiev, a Massachusetts College of Art history professor and controversial scholar of American race relations, uses that classic line to kick off “How the Irish Became White.” The 1995 book offers an in-depth analysis of America’s assimilation of the millions of Irish who emigrated in the 1800s. Ignatiev’s uncomfortable but ultimately compelling thesis is that the Irish established themselves in America by tolerating and even participating in the persecution of the nation’s blacks. The author notes that, in Ireland, the American practice of slavery was considered an abomination. 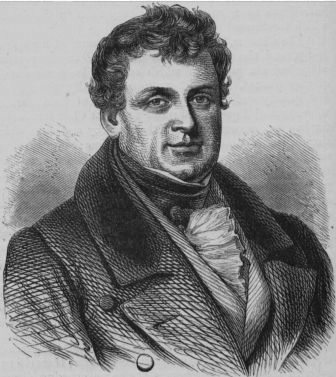 So Irish icon Daniel O’Connell, a leader of Ireland’s push for independence from England in the mid-1800s, was stunned when the Irish in America rejected his call for support of the abolitionist movement. “Instead of the Irish love of liberty warming America,” writes Ignatiev, “the winds of republican slavery blew back to Ireland.” He argues that immigrants from Ireland were focused on gaining economic and social footholds in their new surroundings. As a result, they generally failed to support anti-slavery efforts and even allied with pro-slavery interests. The sad irony underlying this history is that the Irish were no strangers to persecution, as that line from “The Commitments” attests. Ignatiev describes how Irish Catholics “formed an oppressed race” in their home country. And in the decades leading up to the Civil War, Irish immigrants were usually near the bottom of America’s social ladder, not far above the blacks, who were enslaved in the South and discriminated against in the North. 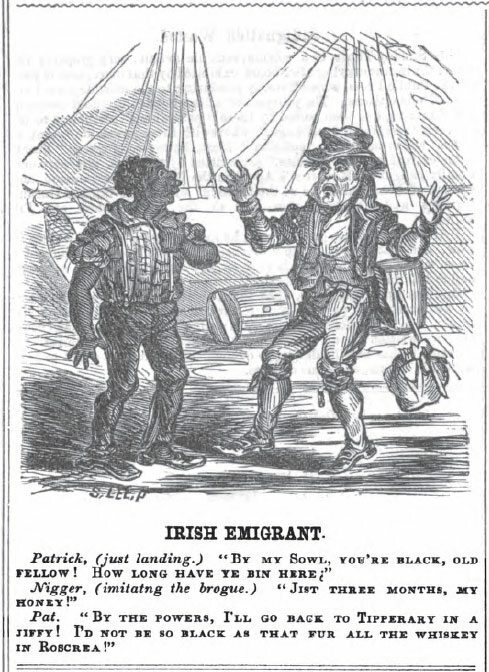 Ignatiev notes that in the 19th century, Irish were sometimes called “niggers turned inside out” while black people were referred to as “smoked Irish.” His book displays antebellum-era political cartoons that treat both blacks and Irish with similar contempt. “How the Irish Became White” reads much like “A People’s History of the United States.” Like that Howard Zinn masterpiece, Ignatiev’s book is so fact-packed that it can be hard to enjoy without pausing periodically to come up for air. “Was Huck Irish?” Ignatiev asks in one of the book’s speculative moments. He lists evidence supporting that theory — but also says the Irish were certainly not Huckleberry Finn. While Twain’s fictional boy hero eventually chose to risk his own neck to save a runaway slave, Ignatiev thinks Irish immigrants “opted instead for the privileges and burdens of whiteness” in America in the 1800s. History buffs and students of race relations likely will appreciate “How the Irish Became White.” The book spotlights a fascinating period in American history and reminds us that oppression can come from many sources, including the oppressed. So glad you reposted this article about Noel Ignatiev’s book. It supplied information that I needed to make sense of my great grandmother’s story, how she came to marry a black man in 1899 Cincinnati, Ohio. With a whole lot of other research I was able to find a book in her story and it, Mother of Orphans: The True and Curious Story of Irish Alice, a Colored Man’s Widow, is being published in April 2019. Many of the issues that Ignatiev writes about in his book are coming around again in the public discourse. I hope to see more of him.